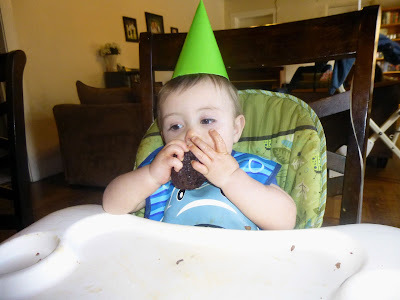 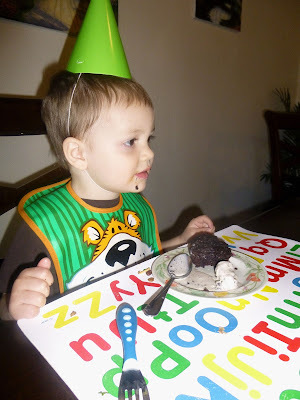 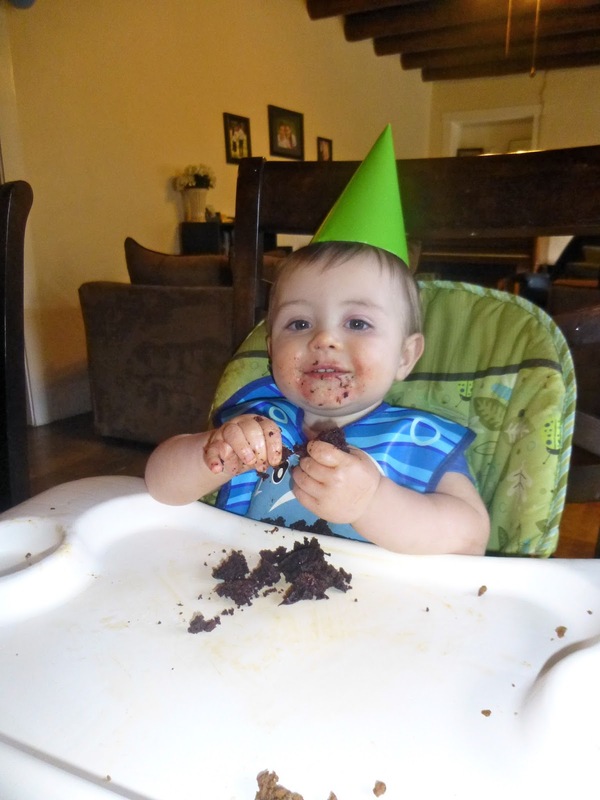 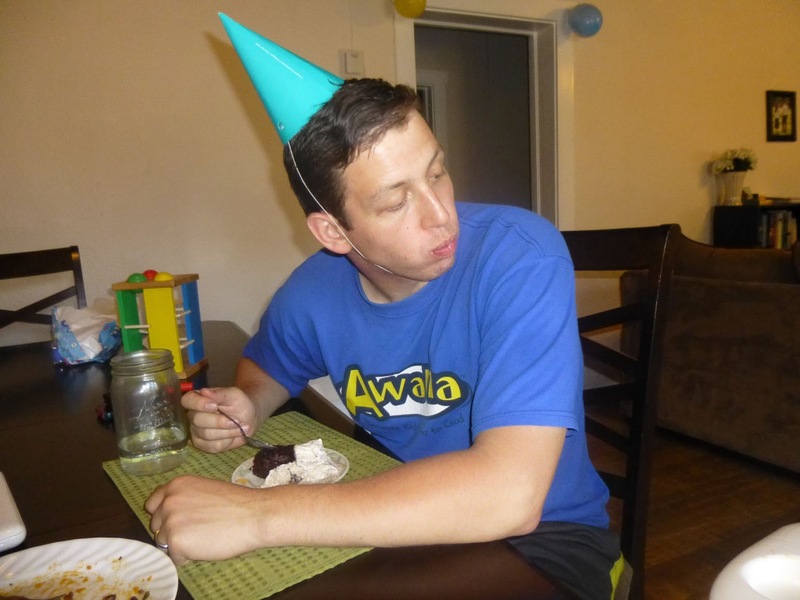 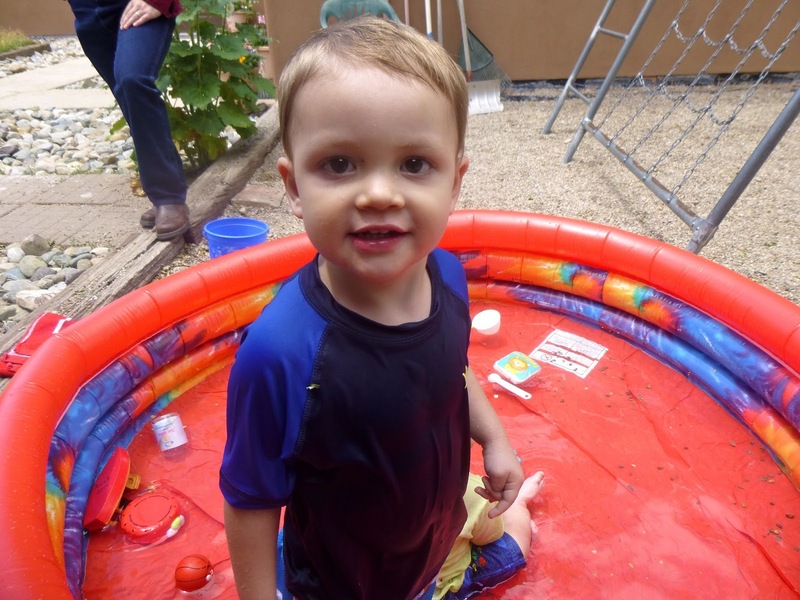 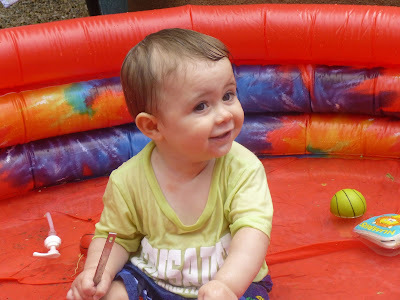 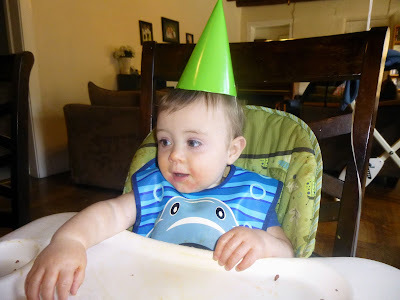 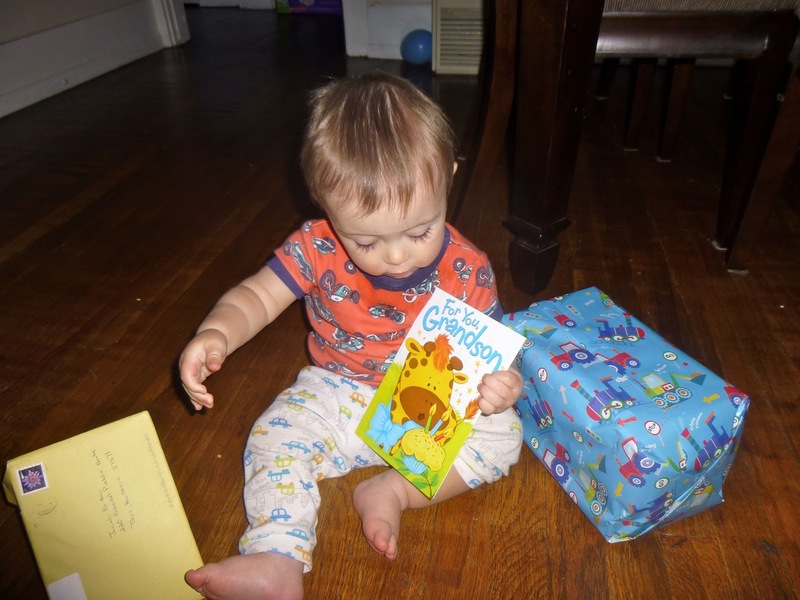 Living for Jesus: Happy Birthday, Josiah! 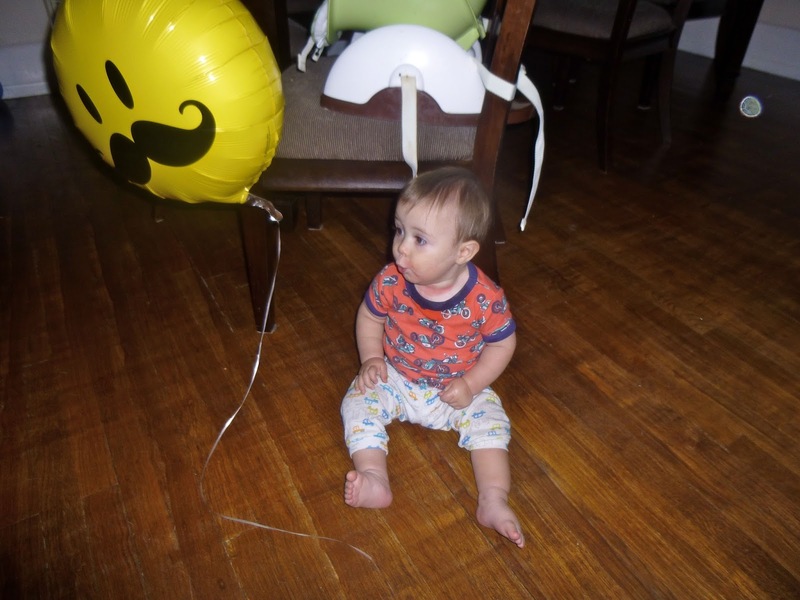 He loved his balloon! 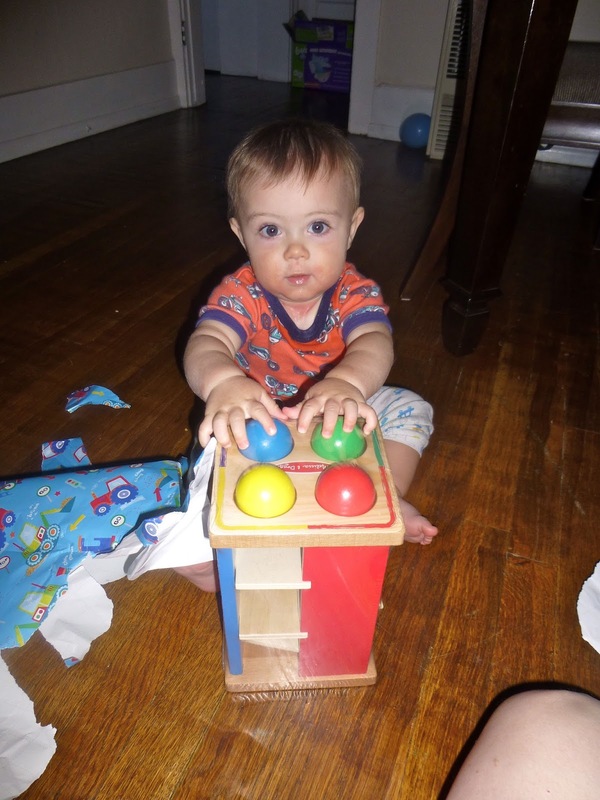 He even learned how to say the word: "boon." 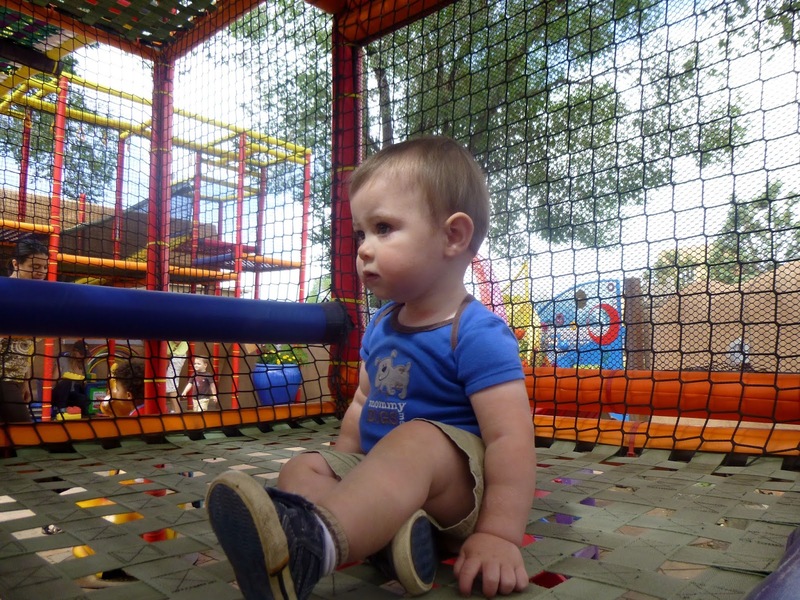 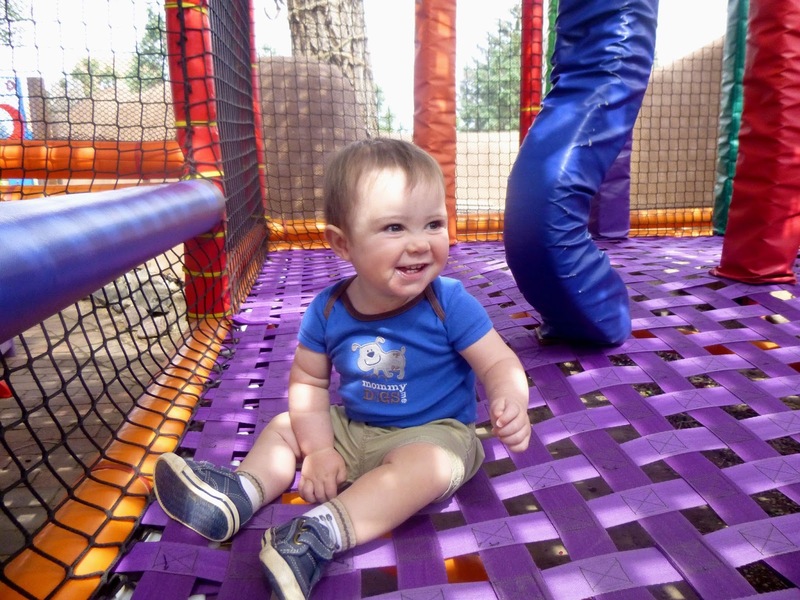 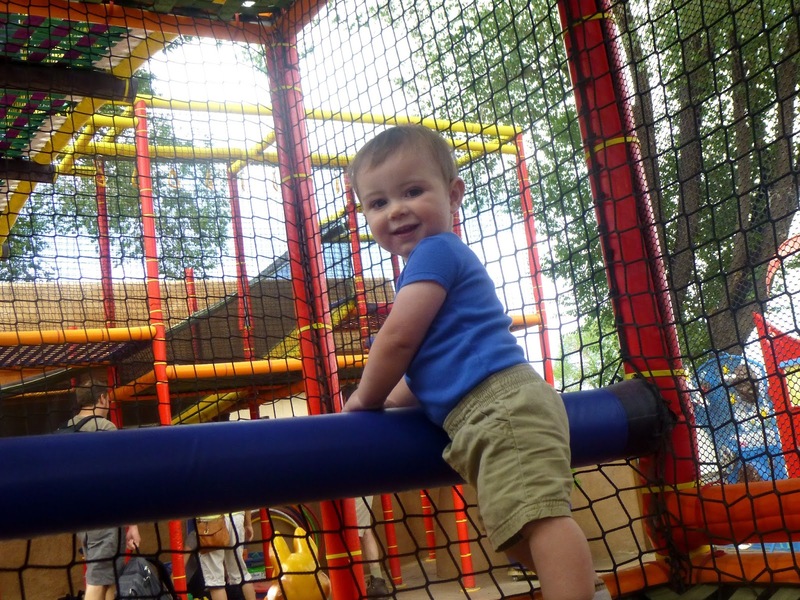 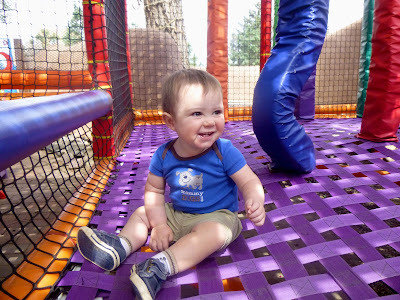 Spending time at Twirl - a favorite play place with both boys! 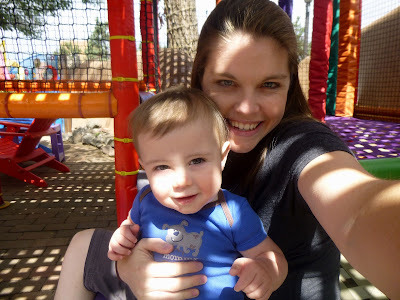 Mommy loves her JoJo Bear! 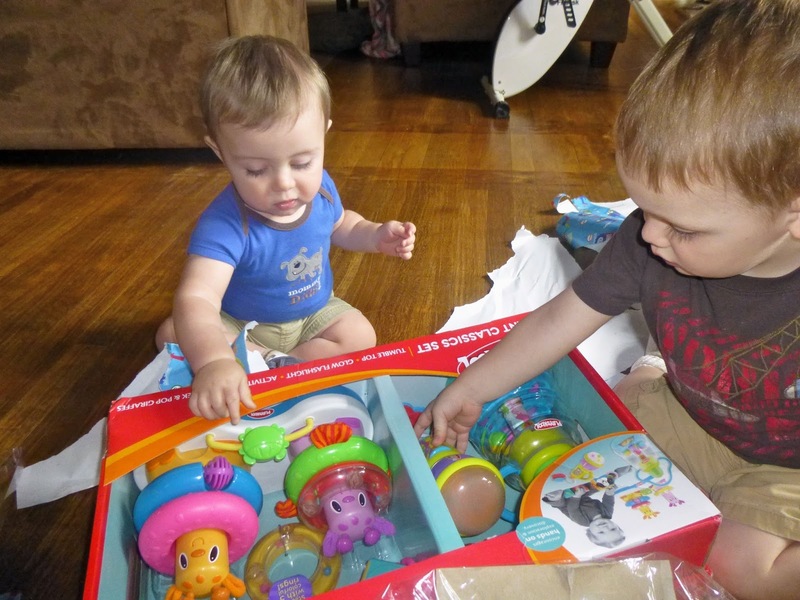 Big brother helps with the opening. 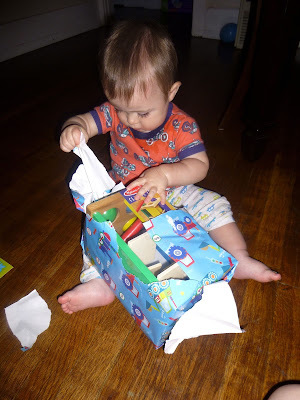 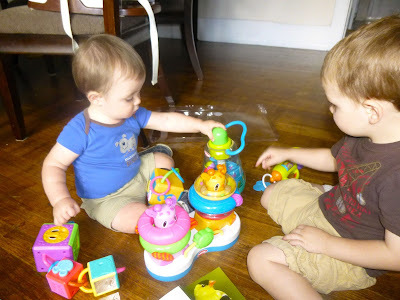 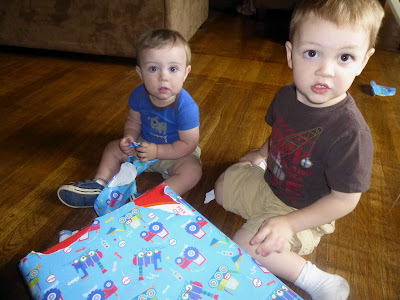 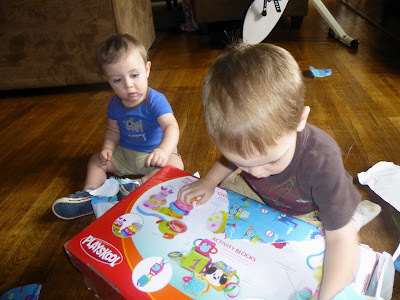 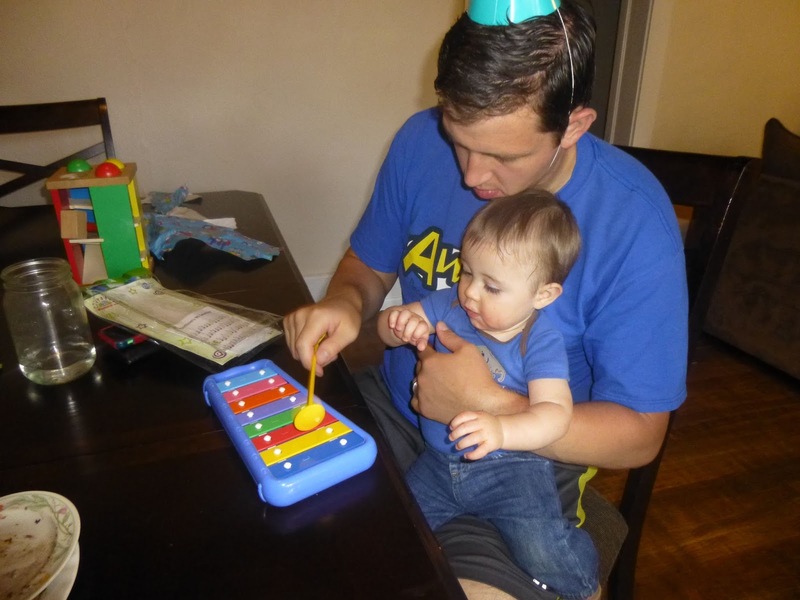 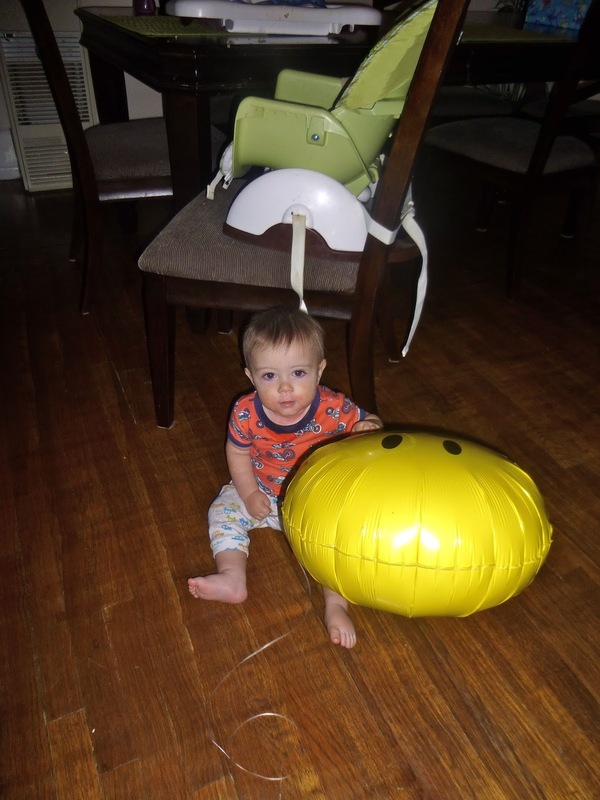 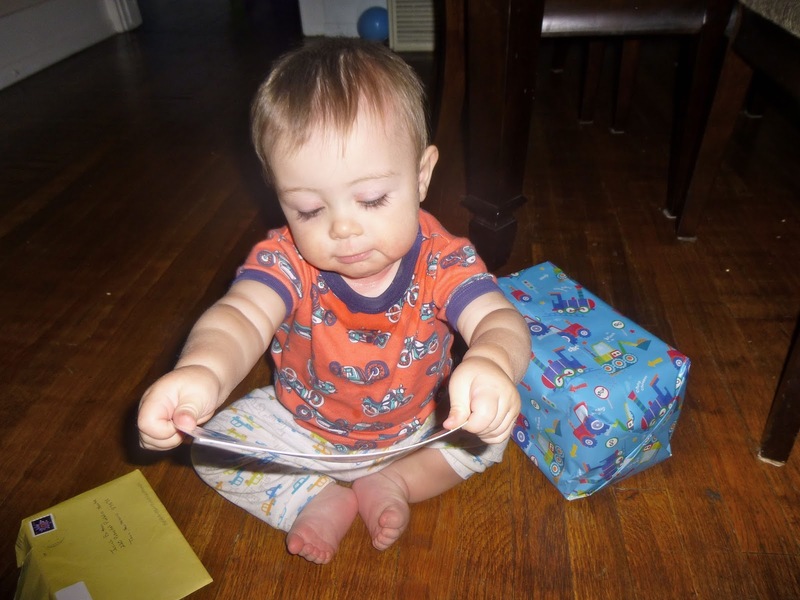 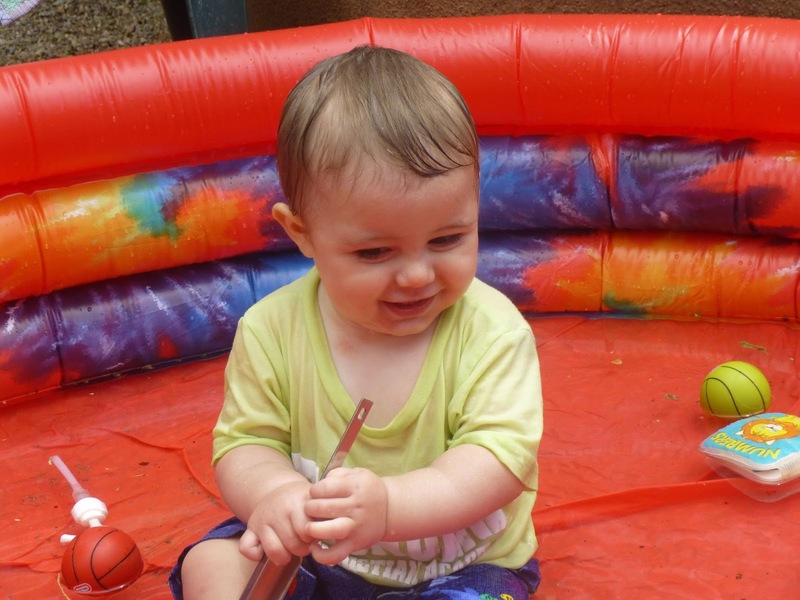 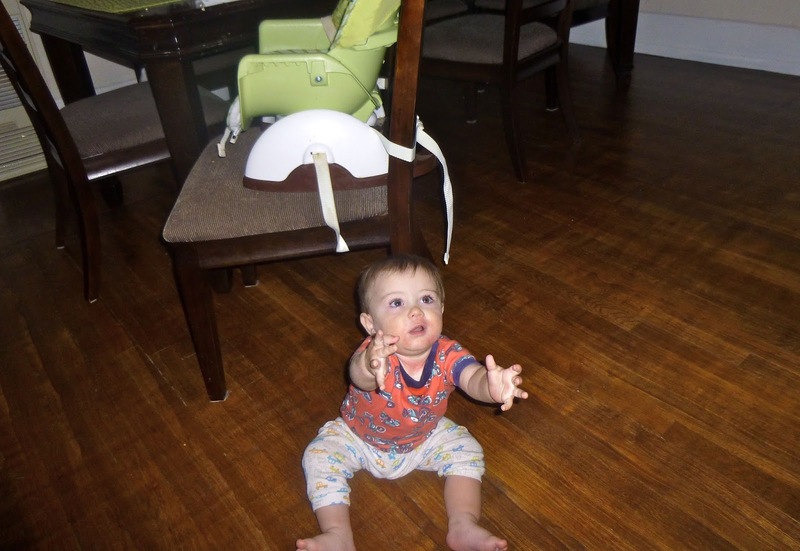 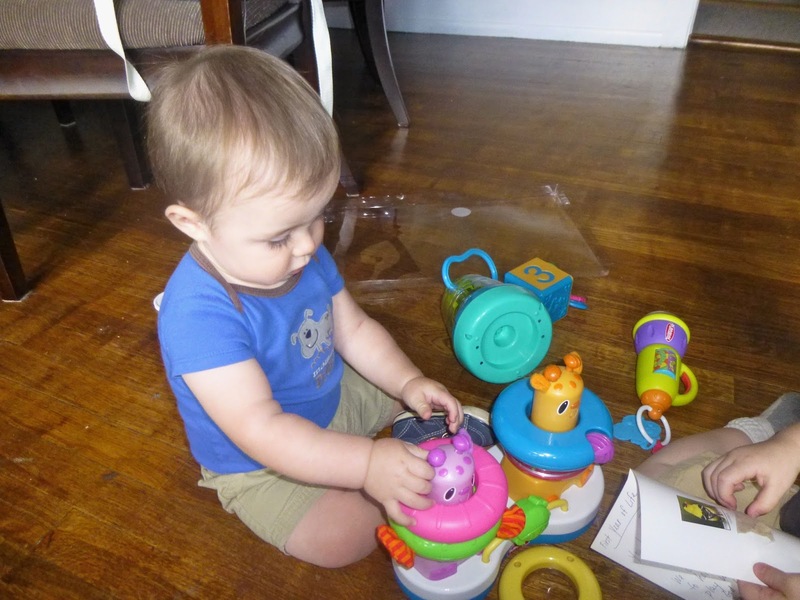 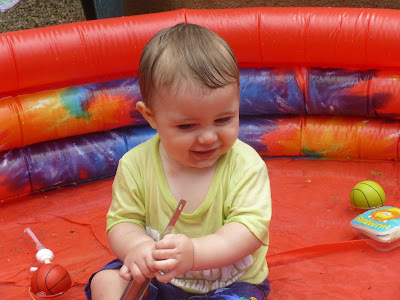 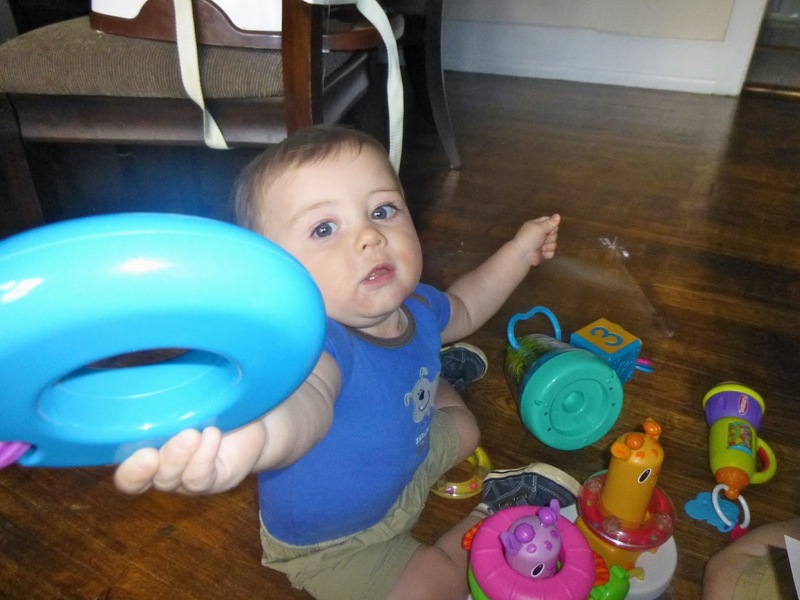 Fun play things from Grandmommy and Granddaddy! 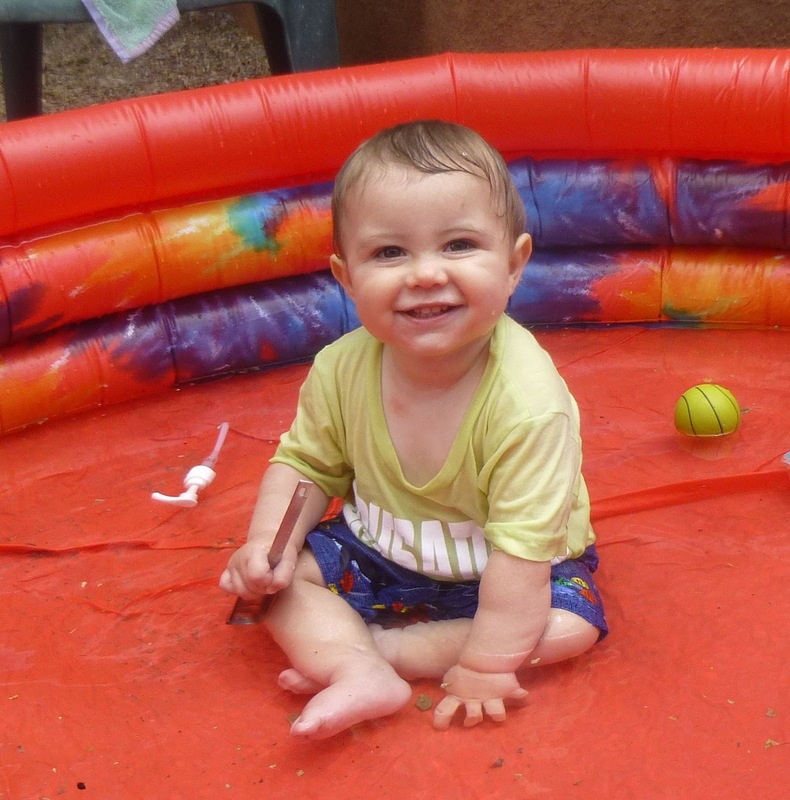 Enjoying the swimming pool - a present from Mommy and Daddy! 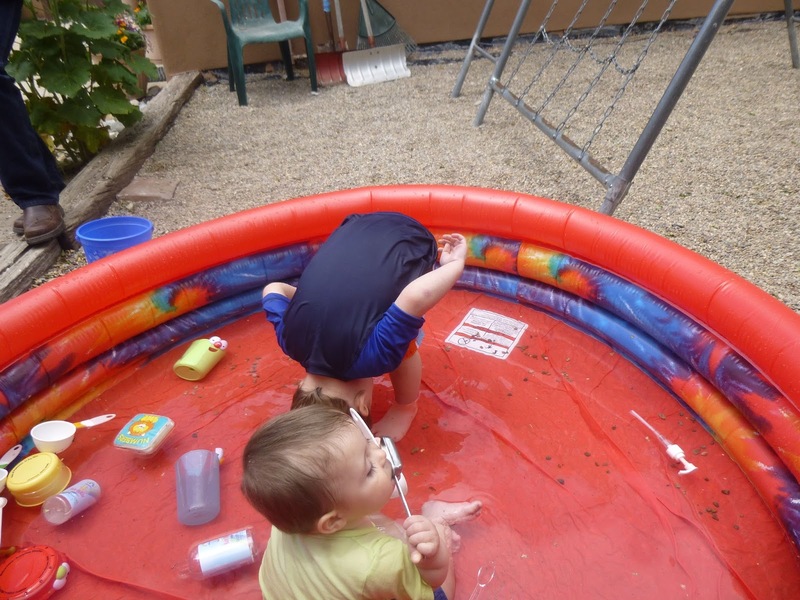 Isaac demonstrates his bravery to get his hair wet. 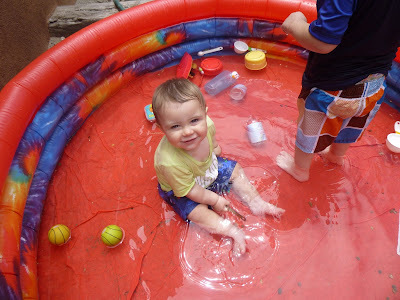 but Josiah eventually got used to it and loved it! Time for cake and ice cream. 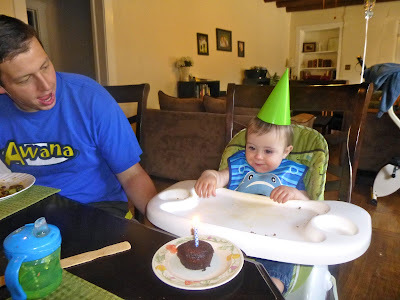 This is Daddy's favorite part of birthdays! 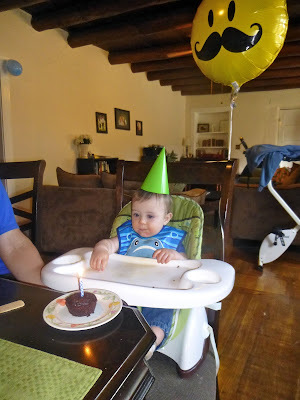 Isaac had to blow out his own candle before he could enjoy the treat. Last present of the day: a musical instrument for our musical boy!